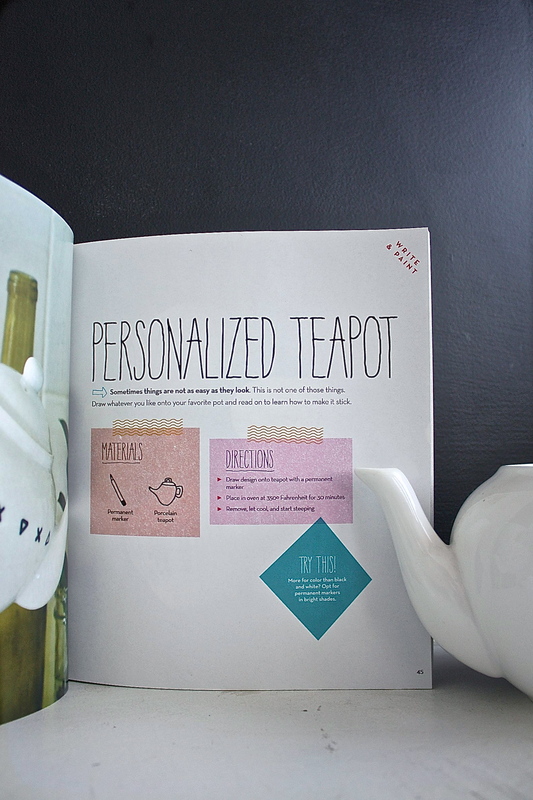 This oh-so-lovely and oh-so-easy DIY is another great idea that I saw within my InstaCraft book. Although the time that it takes to complete this project is roughly 35 minutes, 5 minutes are dedicated to doodling, while the other 30 minutes are all done in the oven. Why can’t all crafts be this easy? If they were, I would be able to post one everyday for my fantastic followers! 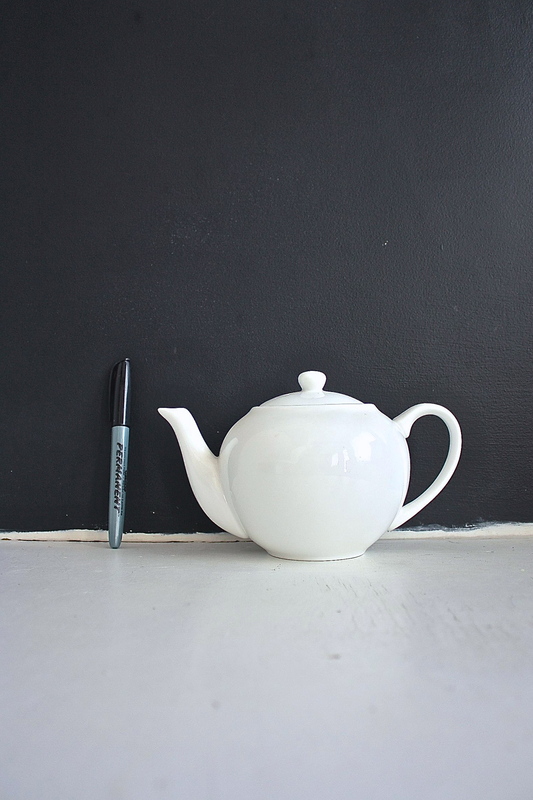 Draw a design on your teapot. Place in the oven for 30 minutes at 350°F. Remove, let cool, and begin steeping! Easy peasy. 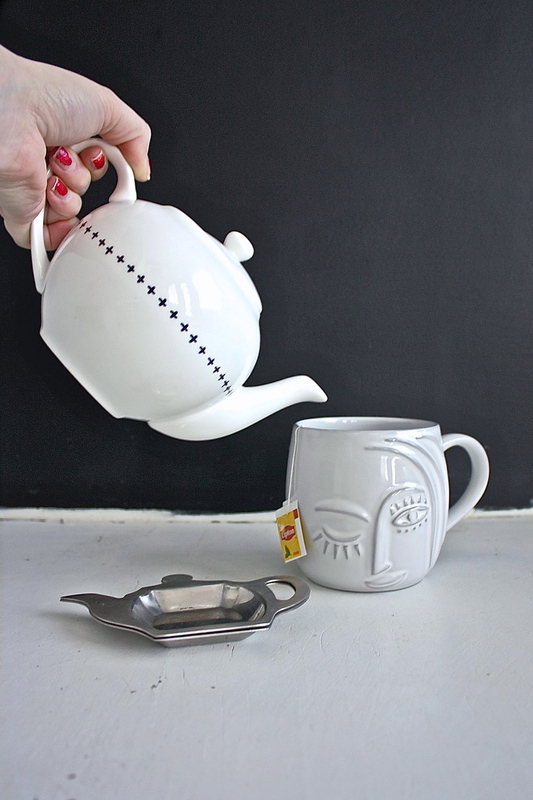 I loved this simple, yet unique project so much that I’ll be drawing similar designs on my plain white mugs so that I will have a matching tea set. I would also like to purchase plates from the Dollar Store and create my own patterns on them. 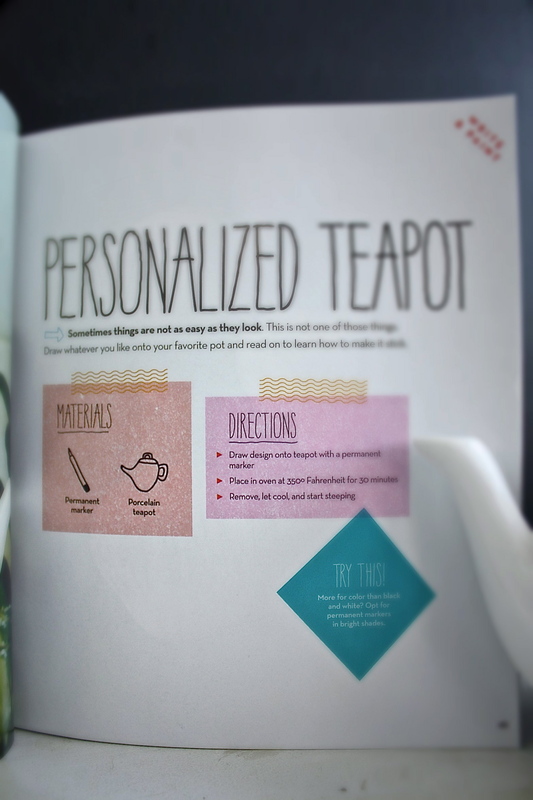 I may end up drawing on all of the dinnerware in my house, as well as recreating every craft within this book! Sometimes, nothing beats having a giant wave of inspiration. Happy Wednesday! how do you organize your blog? What a great idea and attractive design! love that design! so simple and so nice. 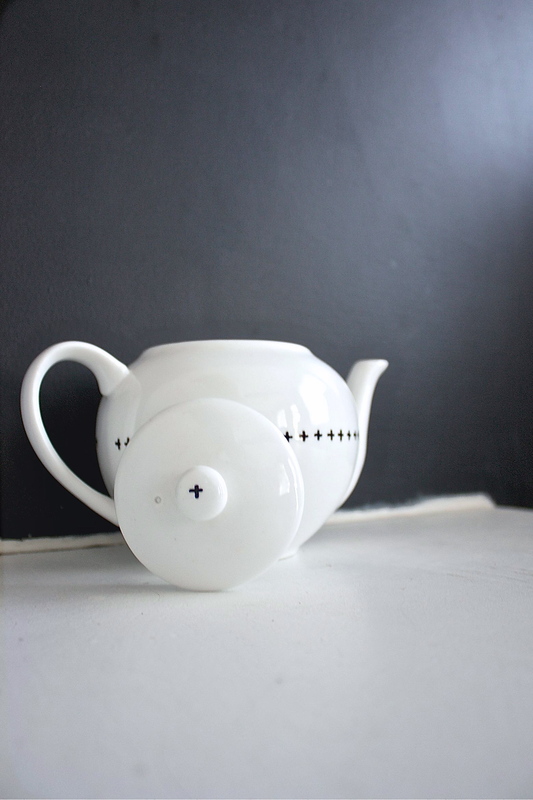 would love a teapot like that for myself! 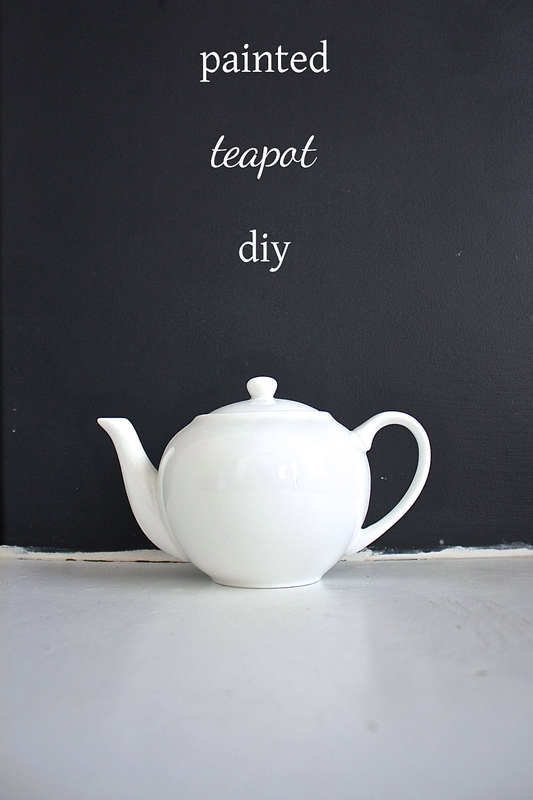 This is so cute and simple – one can never have too many teapots! Hello Scarlett! I have done this project on teacups, but not a teapot yet! I love it, yours turned out wonderfully! 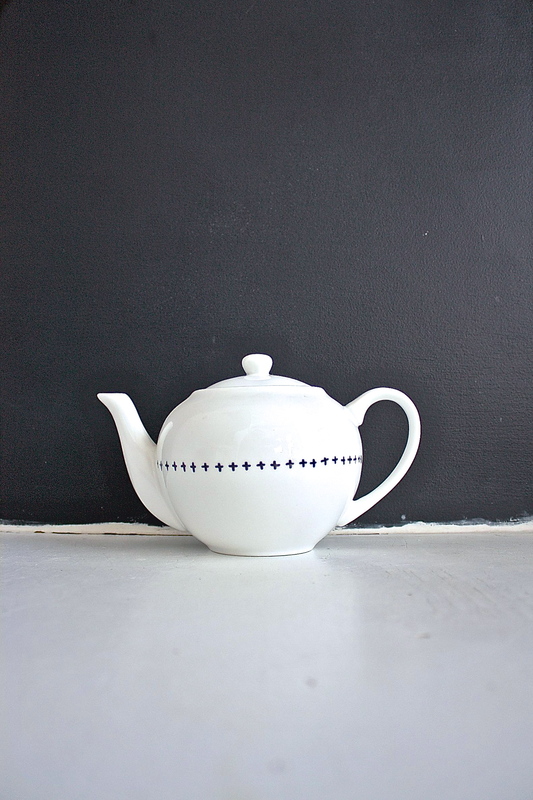 :) I will have to see if I can find a new teapot for the project! Thank you for such wonderful posts! Thanks for stopping by my blog earlier!! Love this idea! 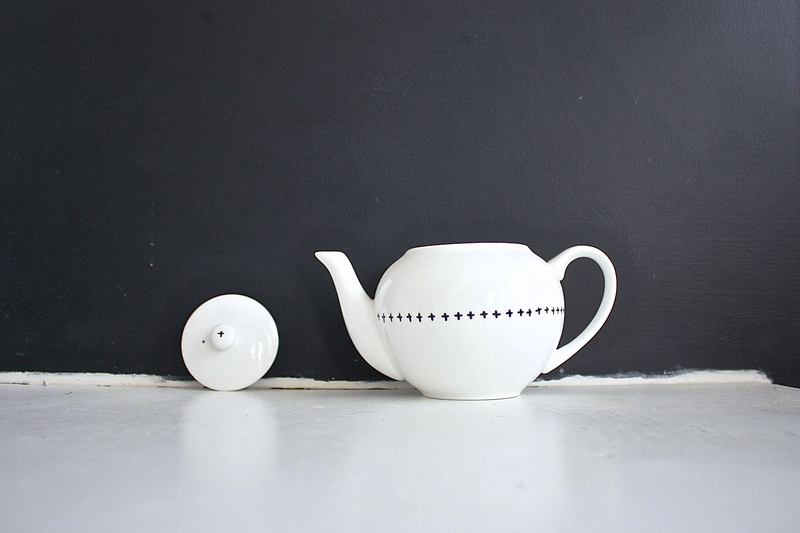 I have painted on teapots but not on porcelain ones like this so this gives me another idea!!! What you did was perfect!!!! Love it!!! This is so cute, Emory! I love it! I also totally love your new blog design. It looks great! So dainty! If you didnt live in the Arctic you could enjoy a cuppa in your English garden. What an imaginative way to have a unique piece! I love it.